GRAFENWOEHR, Germany — Finding employment in today’s competitive job market is hard enough already. When military families are forced to pack the boxes and move across the country or overseas far away from a connection network, employment can become a real hassle. Unlike in the civilian world, Army posts overseas have different rules for everyone, some of which are based on agreements with the host nations. The most common obstacle many spouses stationed overseas have to overcome is understanding what job they qualify for. There are three types of federal employment: U.S. Appropriated Funds Program (AF), the U.S. Non-Appropriated Funds Program (NAF) and the Non-U.S. Citizen Program for Local Nationals (LN). Generally, dual citizens, with one citizenship belonging to the host nation, are eligible for limited contracting jobs or off-post employment. Citizens of the host nation qualify for local national employment, as well as certain NAF positions. And U.S. citizens can chose between NAF, General Schedule and Federal Wage System positions or independent contracting employment. U.S. citizenship holders in Europe have the opportunity to take advantage of the spouse preference program. However, every individual’s background and eligibility varies. Providing the correct paperwork with the application is imperative. 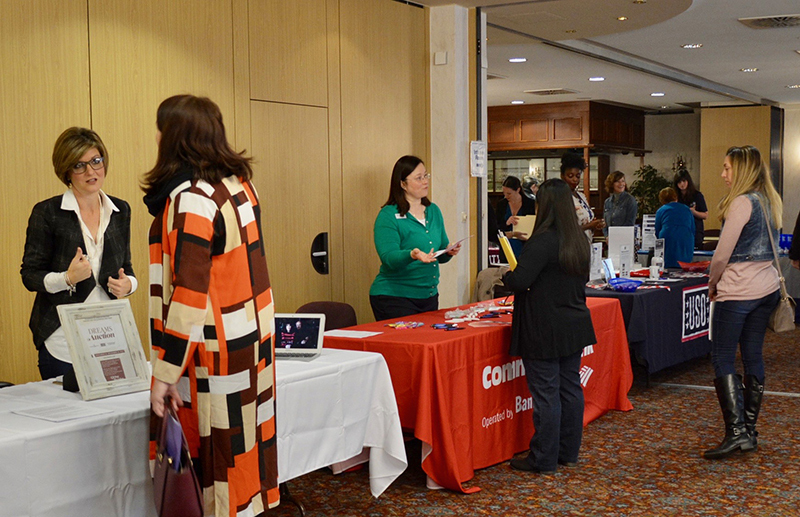 According to the U.S. Department of Defense, military spouses face perennial challenges in finding employment. Twenty-five percent are underemployed, while another 25 percent are unemployed. Many spouses are struggling to find employment due to the fact that positions are limited and the long paper trail of bureaucracy, as well as the duration of background check results or financial burdens may prevent one or the other individual from seeking employment. “The biggest challenge for spouses is finding a position whereby the profit exceeds the cost of childcare,” said Ryan Dudley, who found his employment match as an independent contractor. However, for those who have special skills or are crafty, there is an opportunity to become an entrepreneur by starting a home-based business. With so many opportunities and limitations for the individual employment seeker, it is best to contact your local CPAC or LN office with any questions or to confirm accurate paperwork to go with your application. Becoming a volunteer is also a great opportunity for job seekers. Volunteering provides an opportunity to learn the ins and outs of a specific position and build experience for future employment in the field. For more information about volunteer opportunities, contact your local Army Community Service office.